It takes us on average 50 minutes to reach the M5 at either junction. Rough guide only! Follow A38 to Bridgwater, then A39 to Minehead. Follow A358 towards Minehead. At Williton, join A39, still towards Minehead. From Williton, follow A39 towards Minehead. Best to ignore all signs to Blue Anchor until you get to Carhampton as the other lanes are very narrow and twisty. 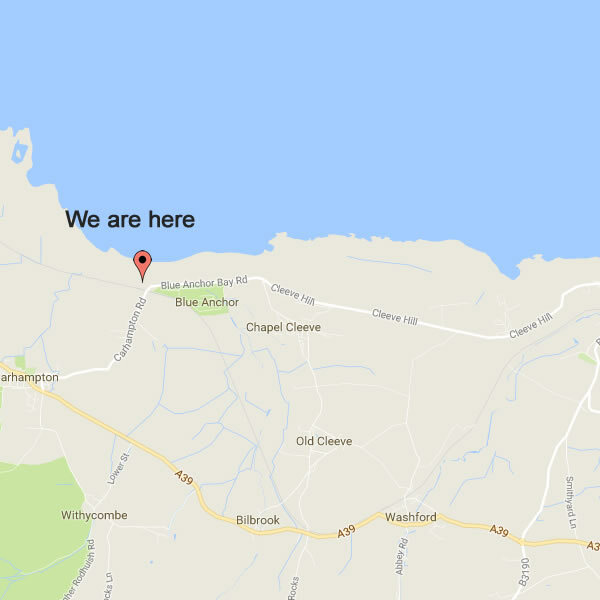 At Carhampton, turn right onto B3191 for Blue Anchor. Follow down towards sea, just over a mile. Go over the level crossing at the bottom of the hill (West Somerset Steam Railway) and IMMEDIATELY turn left into West Beach Chalet Park. Go through the farm gate and number 61 is the second chalet on the right, by the sea (left semi of first building).